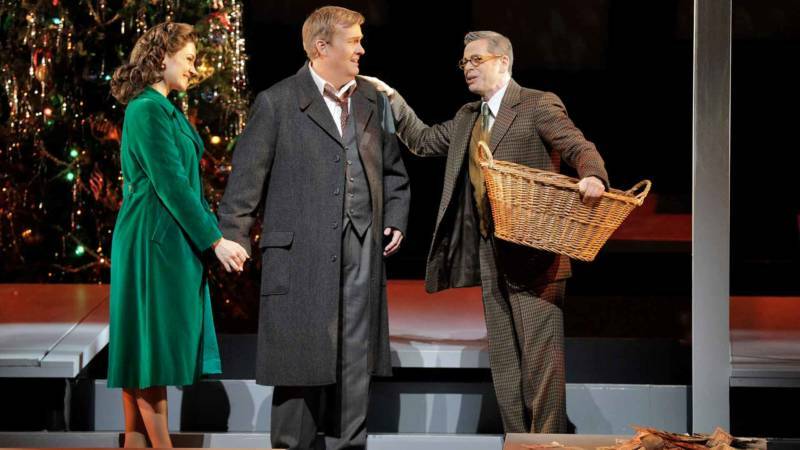 It's A Wonderful Life at SF Opera is the sort of thing you recommend to your more experimental-minded friends. The ones who are willing to try any strange idea, just to see how it turns out. The ones who order a Mission-style burrito in Massachusetts, just to see what Massachusetts does with the concept of a burrito. The ones who watch Gus Van Sant's shot-for-shot remake of Psycho, just to see what Gus Van Sant does with the concept of Psycho. 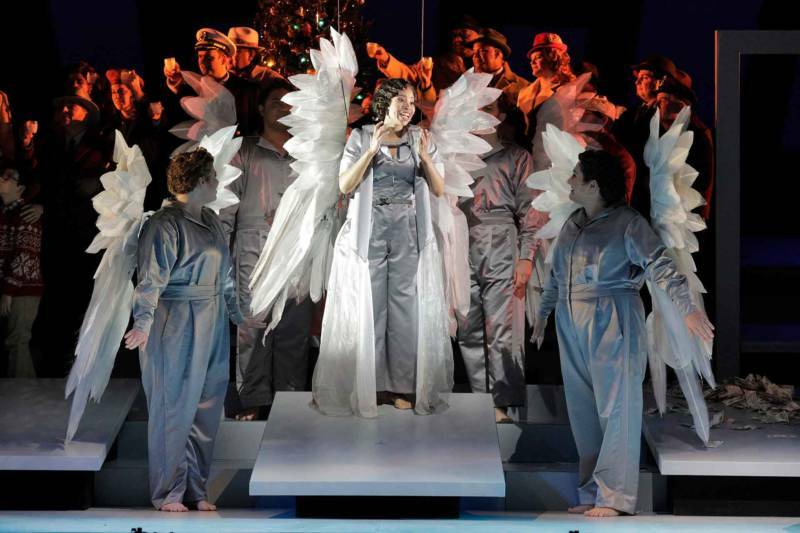 All of this is far more fascinating than disappointing, and forces the viewer inside the heads of Jake Heggie and Gene Scheer, who had the unenviable task of adapting a widely watched classic film for the opera stage. Why did they eliminate the character of Violet? Why did they decide, in George's reverie, that Mary simply “went away to college” and never came back, instead of becoming the town librarian? Why did they incorporate a recurring dance, the Me-kee Me-kee, in place of “Buffalo Gals”? 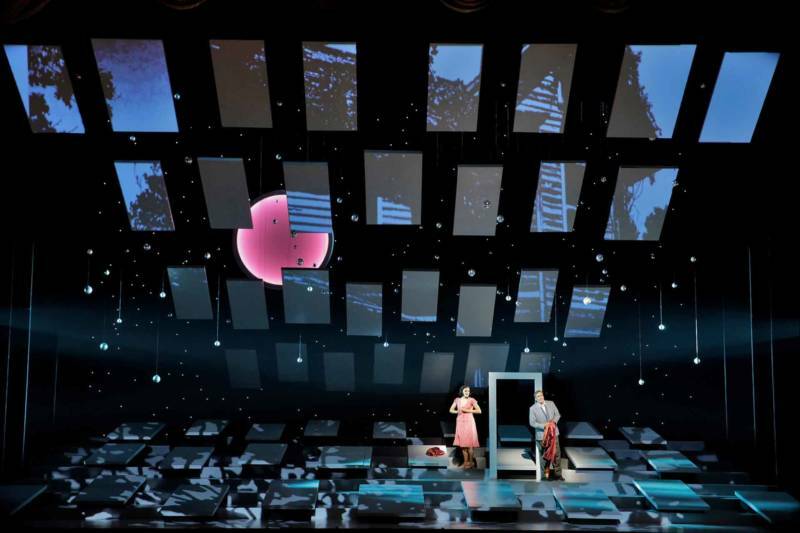 By the show's end, after the townsfolk arrive in the Bailey living room to save the day and to drive home the point, in operatic chorus, that “No one is a failure who has friends,” a strange sort of appreciation for the offbeat sets in, like egg nog-flavored bubble gum. The Nutcracker is coming to the same stage next week, like it does year after year after year. Savor this oddity while you can. 'It's a Wonderful Life' runs for two more performances, Dec. 7 and 9, at the War Memorial Opera House. Details here.